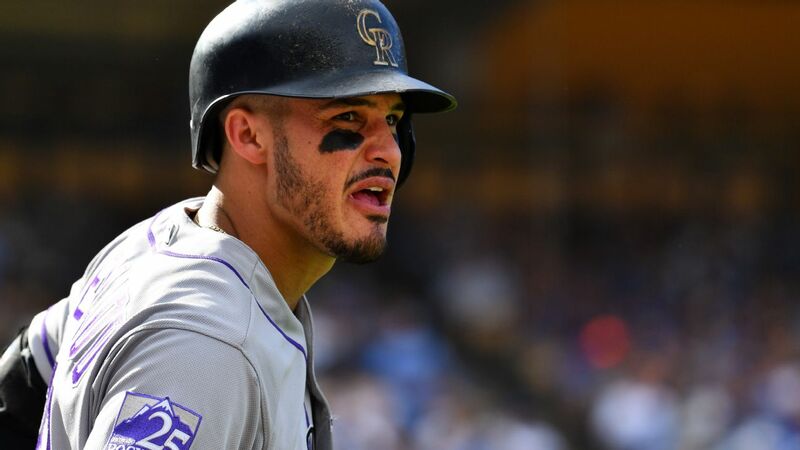 TheColorado Rockiesand third baseman Nolan Arenadodid not reach a settlement on a one-year deal for the 2019 season on Friday, but league sources told ESPN there is a strong sense that the two sides will reach an agreement before an arbitration hearing. Arenado, a four-time All-Star who isseen as the gem of the 2019-20 free-agent class, requested $30 million. The Rockies, meanwhile, offered $24 million. Sources told ESPN that it's likely that they will settle in the $27 million range. While first-time-eligible closers regularly exceed $6 million salaries, the only starting pitcher to do so was Dallas Keuchel coming off his Cy Young season with the Houston Astrosin 2015. American League MVP Mookie Betts set a new standard for players with four or more years of service by settling with the Boston Red Sox for $20 million -- a raise of $9.5 million over 2017, when he beat the Red Sox in an arbitration hearing. National League Cy Young Award winner Jacob deGrom more than doubled his salary with the New York Mets, jumping from $7.4 million to $17 million to set a record for the highest raise in arbitration, which had been set just hours earlier by Betts. Khris Davis, who led the majors with 48 home runs and was second with 123 RBIs last season, settled with the Oakland Athletics for $16.5 million -- a raise of $6 million.